NOTICE:  CREATE TABLE / PRIMARY KEY will create implicit index "table1_pkey" for table "table1"
Local time is now:      Thu Sep 27 10:34:32 CST 2012. Universal Time is now:  Thu Sep 27 02:34:32 UTC 2012. 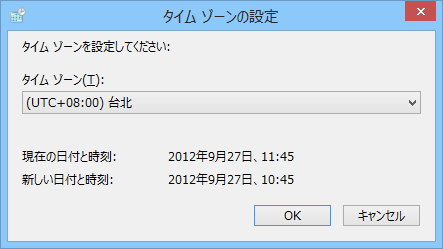 Local time is now:      Thu Sep 27 11:52:27 JST 2012. Universal Time is now:  Thu Sep 27 02:52:27 UTC 2012.